The Great great scholar Socrates was executed at the age of seventy in 399 BCE in the most famous town Athens. Why such an old man was executed in the most civilized and democratic society of those days. Was he put to death for preaching mere philosophy or was he molested anybody like today’s religious preachers? The irony here is Plato and Xenophon the disciples of Socrates gives us a different story. The interesting question is- What made the 500 Athenian jurors to put Socrates to death. To find out the real reason behind his death, we have to go back to those days of Athens. Let us go there and analyze!!! 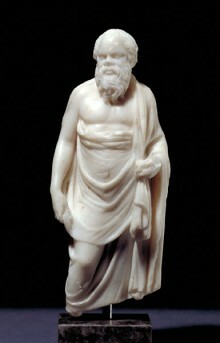 Socrates rose to power of Pericles in his early age. Those were the golden age of Greece. Pericles promoted peoples courts and promoted the arts and philosophy. Socrates rose against evils and he designed a program to ensure full opportunity for employment to the downtrodden working class. Pericles reconstruction of the citadels and construction of the Parthenon were the worth mention. Socrates developed a set of moral values and beliefs that raised him with in most of his fellow Athenians. Socrates is somehow opposite to egalitarian and his views were opposite to self governing of the people. Instead he thought people should be governed and guided by a wise person like sheep herd were cared by a wise shepherded, this view about democracy shaked the Athenian form of government and he criticized indiscriminately the right of every Athenian to speak in the Athenian Assembly. According to Diogenes and Laertius, the views of Socrates in the streets and market places made the fellow Athenians who passed by to get anger but Socrates accepted all the insults and opposition silently. Because of his old students like Alcibiades and Critas the democratic government was overturned for some period. According to I.F.Stone, Critias who is the cousin of Philosopher Plato is inhuman in nature and he is very strong to overturn the democratic system at the cost of human life. He executed more than 1500 most popular democrats and killed more than 5000 Children women and slaves with the oligarchy. Thirty Tyrants who run their parallel government asked Socrates to execute Leon Salamies and appropriate his assets and wealth. He refused to do so but he neither stopped them or their thugs to do so. 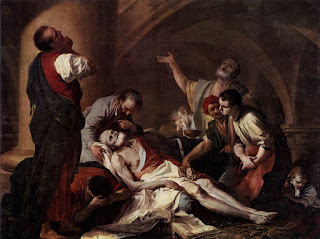 This incident made the Athenians to view Socrates and his preaching in another dimension. And the every fellow citizen believed that Socrates and his thoughts are very treacherous and most corrupting which can destroy the common man of that town. 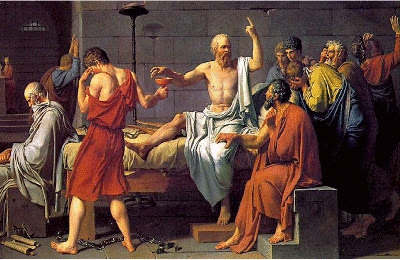 In the year 403 a general amnesty was issued to Socrates by which he could not be prosecuted for any of his offence during the thirty tyrant’s period. Hence his trail was only after 403 to 399BCE a mere four years of duration. In the people’s democratic Athens any public can initiate a criminal proceeding. The poet Meletus, initiated oral summon to Socrates before the witness. According to the summon Socrates required to appear before the King or the lower court judge. The preliminary hearing was happened in the Royal Stoa a fortified building in the central Athens.